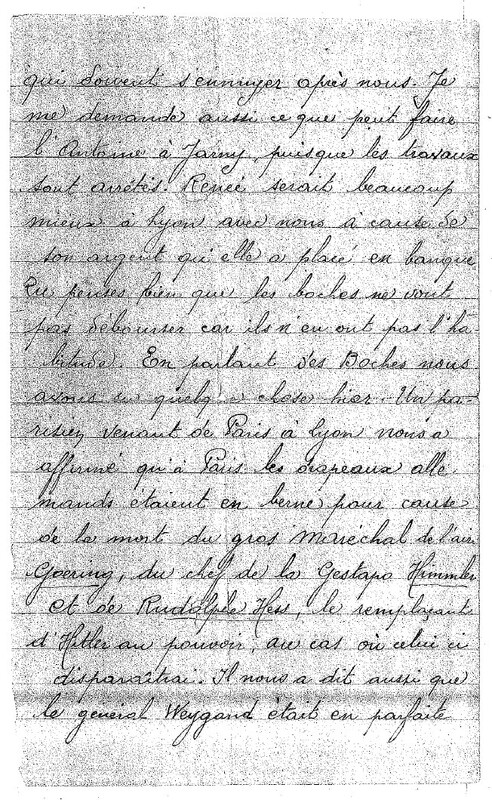 RECOVERED FRENCH LETTER. Submitted by Darren Shelton (grandson of VX18800 George Edward Shelton). 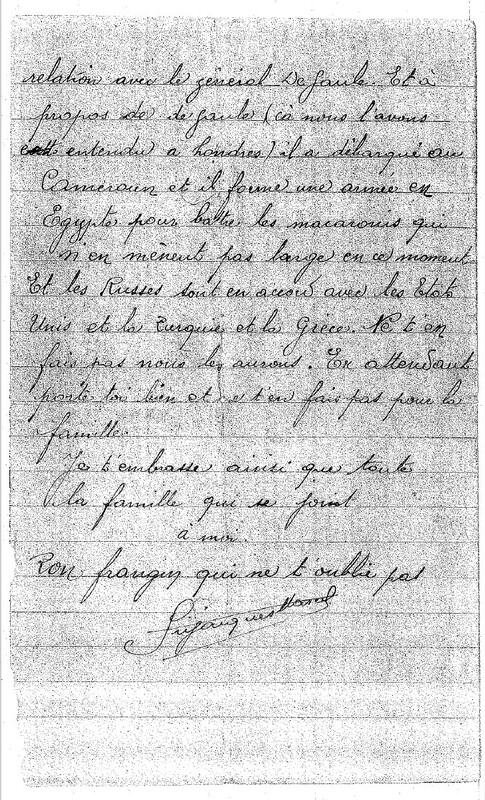 Background : The letter below was recovered from a French lieutenant after he was killed in Syria. 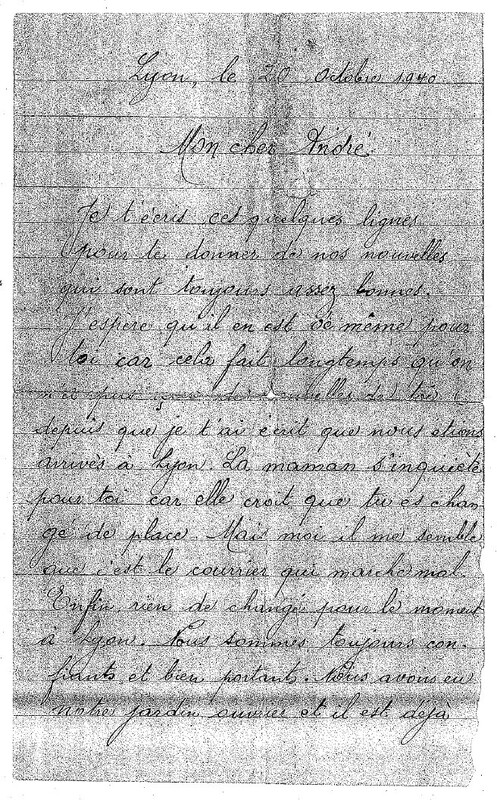 The letter is very interesting and was from one Brother to another. The lady that translated it said there is a confusing reference in the letter about the death of Goering (and the other Nazis!) because it didn’t happen. Presumably propaganda / rumours were operating in France at the time. 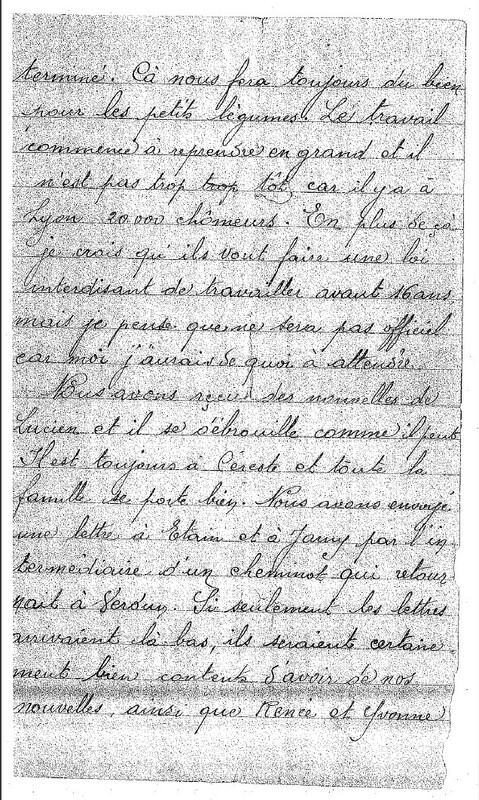 Translation below scans courtesy of Fil & Pascale. I’m writing these few lines to give you our news that is always good. I hope that it’s the same for you because it’s been a long time since we’ve heard from you (since I wrote to you, we have arrived in Lyon). Mum worries about you because she thinks you have moved. But I think the mail isn’t working well. For now, nothing has changed in Lyon. We are always hopeful and in good health. We have had our garden worker and he is already finished. It is always good for the vegetables. Work has begun to pick up and it’s not too soon as there are 20,000 out of work. As well as that, I think they’re going to make a law banning people under 16 from working. But I don’t think it will be official because I need to find out more. We received news from Lucien and he is managing as best as he can. He’s still in Céreste and the family is well. 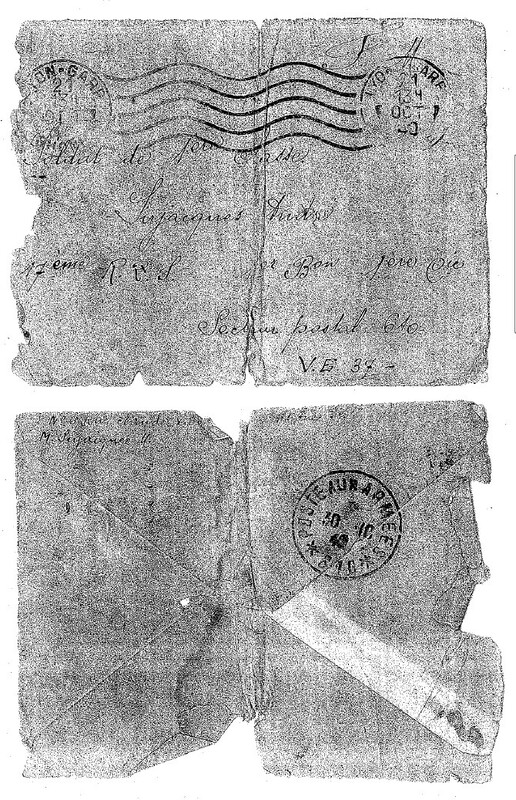 We sent a letter to Etain and Jarny with the middleman who works for the railway who was returning to Verdun. If only the letters had arrived, they would have certainly been happy to hear our news as well as Renée and Yvonne who have to be bored with us. I also wonder what Antoine is doing at Jarny as work has stopped. Renée would be much better off in Lyon with us because of her money that she has put in the bank. We all think that the Germans aren’t going to spend money since they’re not in the habit of doing so. Speaking of the Germans, we found out something yesterday. A Parisian coming from Paris to Lyon confirmed that German flags were at half-mast as a result of the death of the great Marshall Goering, of the head of the Gestapo Himmler & Rudolph Hess-Hitler’s replacement to power, in the event of him disappearing or dying. He also told us that the General Weygand was on good terms with General de Gaulle. As for de Gaulle, (we heard about this in London), he left for Cameroon and is forming an army in Egypt to combat the Italians who are shaking in their boots at the moment. And the Russians are in alliance with the US, Turkey and Greece. Don’t worry, we’ll get them. Take care and don’t worry about the family. The name Sirjacques originates from the Lorraine region. Etain and Jarny are close to each other in the north-east of France, in Lorraine and Cereste is in the south of France.